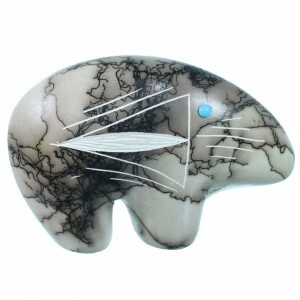 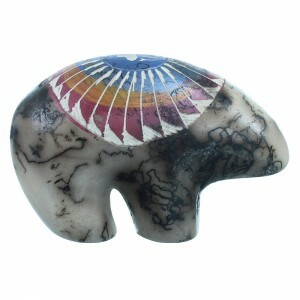 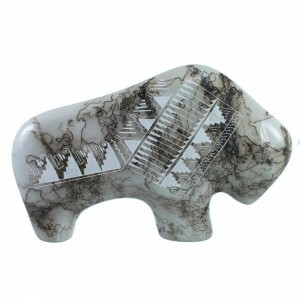 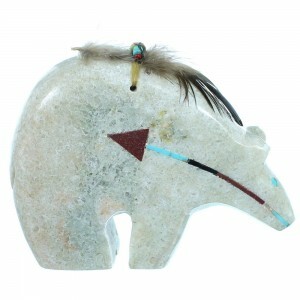 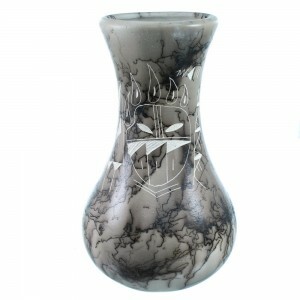 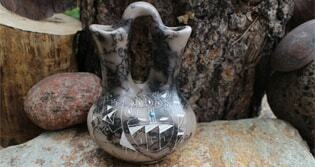 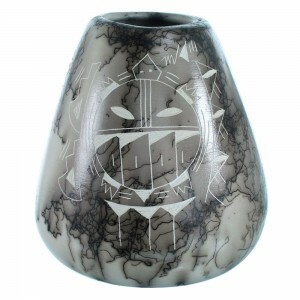 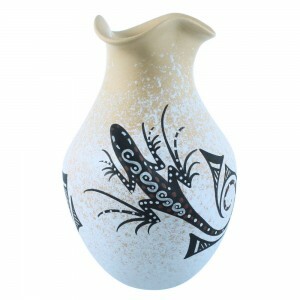 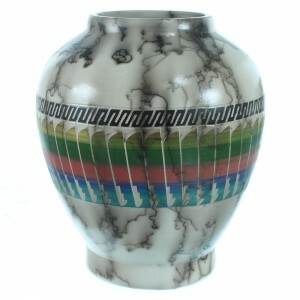 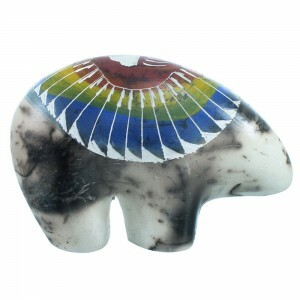 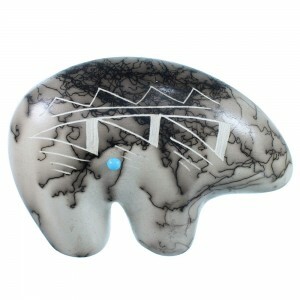 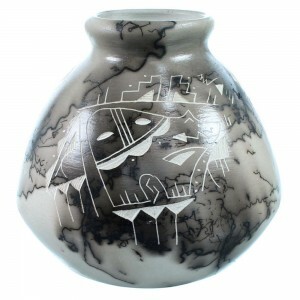 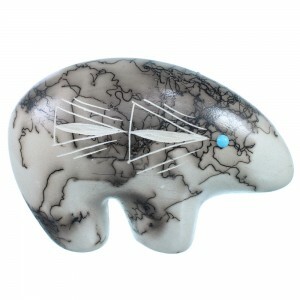 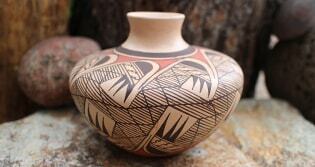 The art of Native American Pottery has been practiced for thousands of years in nearly every Native tribe. 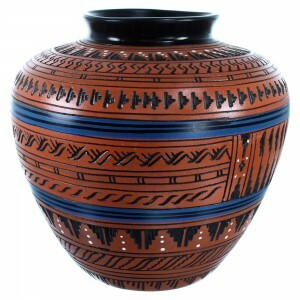 Though beautiful and decorative, the original purpose for pottery was to gather water from rain and rivers, preserve seeds and grains, and work as general transportation for items. 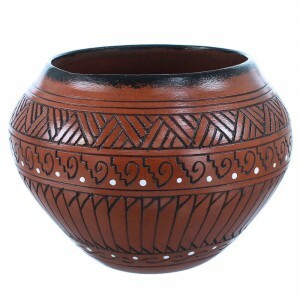 From this daily necessity came the unique shapes and forms of pottery. 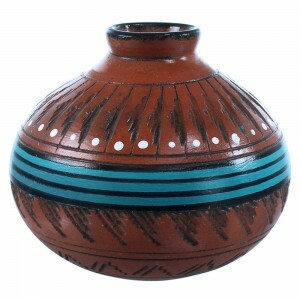 The items that needed transporting and storing had to be shaped to accommodate that particular method – for instance, pottery for water had outward-curved tops to help scoop water in and keep it from falling out. 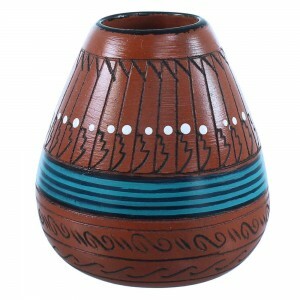 Seed storage pottery had more closed tops to prevent wind or other elements from contaminating it. 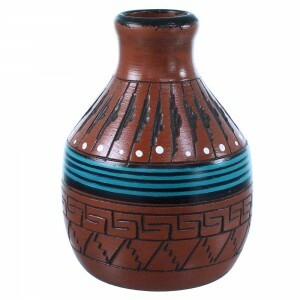 From these styles, pottery became more decorated but retained the elements of functionality. 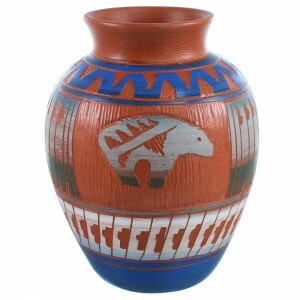 As other tribes, southwestern settlement, and Mexican styles influenced Native pottery, the functional pieces evolved into art forms that could be traded, displayed, and even sought after for their beauty. 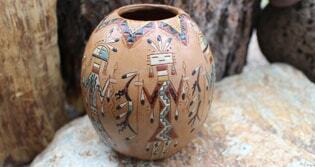 Acoma pottery emerged with something particularly unique roughly 1,000 years ago. 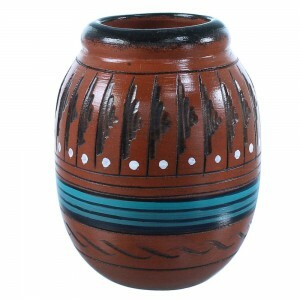 Dense clay dried and turned into pottery shards which are then shaped, painted, and put into a fire to create a complete solid piece. 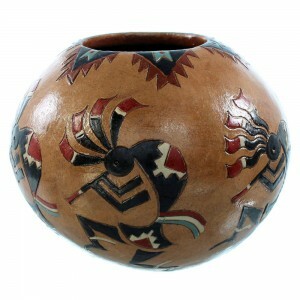 While this is not unusual, the Acoma developed “seed pots”, which were ball-shaped pottery pieces that were meant to be broken to release seeds from inside, creating a safe storage for them. 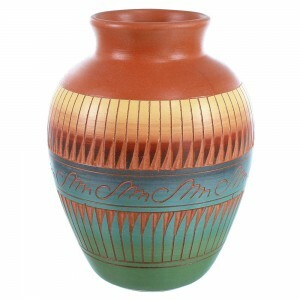 The Zuni tribe is known for their polished pottery, which are crafted with a delicate layering technique that enhances smoothness and color, giving the pottery a certain shine. 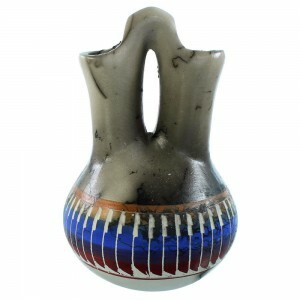 Because of the precision and elaborate designs of Zuni pottery, many tribe members still make a living working exclusively with pottery creation and sales. 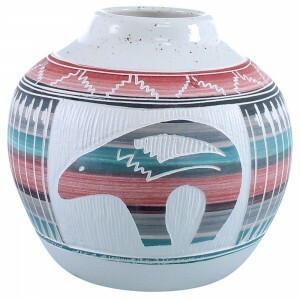 Many tribes, including the Hopi and Navajo, focus their pottery creation on reflecting the symbols and art of their beliefs and traditions. 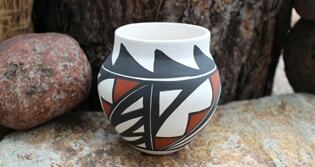 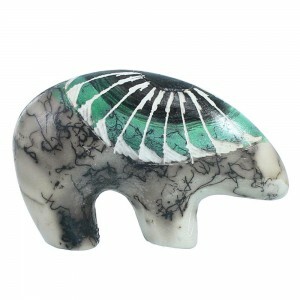 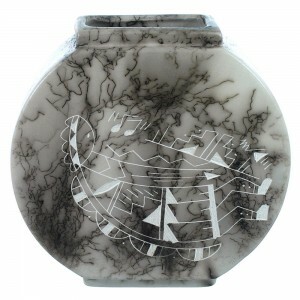 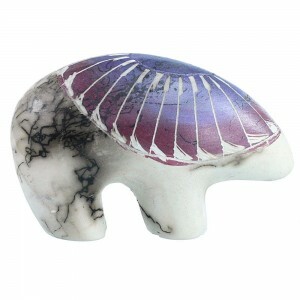 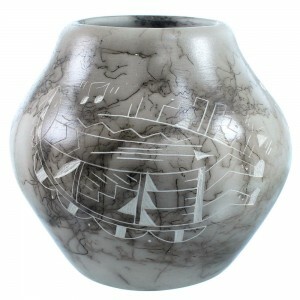 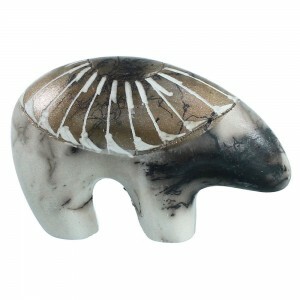 Much of their modern pottery pays homage to the landscapes and celebrations of their past. 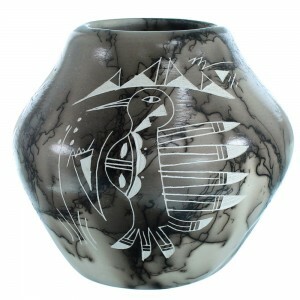 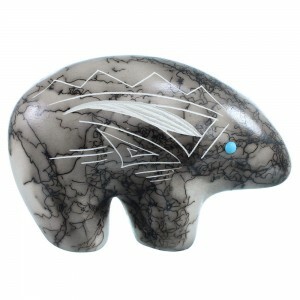 Shop through our collection of Native American pottery that represents thousands of years of development and artistic evolution.